St. Louis Blues defenceman Kevin Shattenkirk sustained a “lower-body” injury in Sunday’s matinée with the Washington Capitals, left the game in the first period and did not return. We’ve since learned that Shattenkirk, quietly having a Norris Trophy caliber season for the Blues, will have abdominal surgery and is out “indefinitely” or “week-to-week.” His absence on the blue line and from the league’s second best power play (24.6% heading into Tuesday) means St. Louis must look elsewhere to fill the almost 23 minutes per game Shattenkirk has given them this season. The Blues already sport a thin lineup, missing forwards Jori Lehtera and Patrik Berglund. With the loss of Shattenkirk for possibly a month or more speculation immediately began about the team acquiring a replacement. 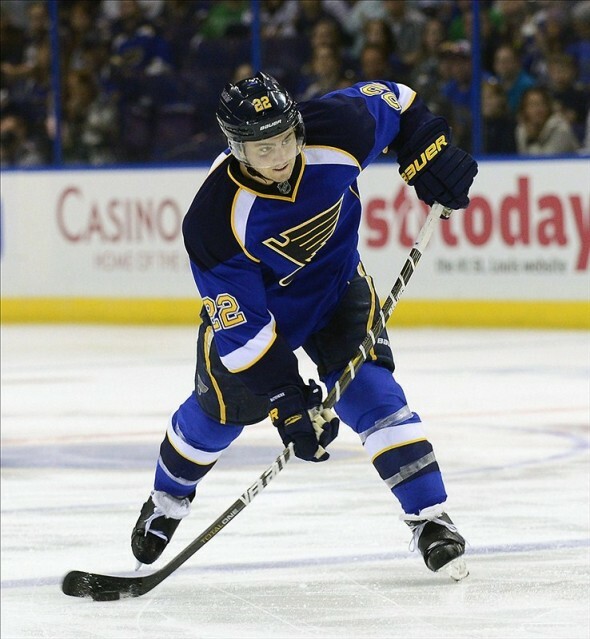 Does St. Louis have enough depth to fill the void until Shattenkirk returns or do they need to look outside the organization for a trade? With the NHL trade deadline only a month away (March 2,) who might the Blues target as a right-handed shooting defenseman? Chris Butler has been a healthy scratch for the last seven games since posting a -4 rating in just over 10 minutes of ice-time versus Carolina in a 5-4 Blues win January 10. He figures to slide into the rotation immediately as St. Louis faces off against the high-scoring Tampa Bay Lightning tonight, but will he be the best answer for the next 45+ days? Butler has been solid this season in limited action but is left-handed and isn’t going to be used in the same roles as Shattenkirk. Petteri Lindbohm has been the go-to AHL call-up after impressing the organization with a strong training camp. Lindbohm is a physical defenseman and I’d love to see more of him, but he’s seen even less NHL time than Butler and is also a lefty. St. Louis might want a big right-handed shot bolstering the power play while Shattenkirk is out, and while other names from the Chicago Wolves spark interest, I don’t see the Blues throwing fresh meat on the fire at this time. Brent Regner and Jani Hakanpaa are both right-handed shooting defencemen but neither is ready for the jump to significant NHL minutes. That leaves a potential trade as the other likely scenario, though Blues GM Doug Armstrong has proven uninterested in making deals for the sake of making deals. He’ll look to improve his team, but the current NHL trade market looks to favor the seller and he not going to mortgage the future to overpay for a stop-gap fix today. Right-handed defencemen are a highly coveted commodity and the pickings are slim. A few names who might be available at the deadline include Washington’s Mike Green, in the final year of a big contract with a $6mil+ cap hit this year, Toronto’s Cody Franson, a likely UFA next year, and Coyote blue liner Zybnek Michalek. Washington is vying for the playoffs and may not be ready to cut ties with their veteran just yet and all three of those teams is going to be looking for young player/draft pick packages. With so many teams contending this season and looking for rentals it may not be a question of the Blues depth on defense but rather, how deep are their pockets?